Elizabeth V. Newman hails from New York — born and raised, with a detour in Los Angeles on the life path between there and here. Stephanie Moore is an Austin native whose roots go deep in the local scene. The pair likes to joke that they are two halves of the same brain. The close collaborators are in fact the two halves of Austin’s newest theater group, Filigree Theatre, which hopes to connect the local theater community with the greater national community in Los Angeles, Chicago and New York. The company takes its ethos and its mission from its name. “Filigree” is derived from Latin words meaning both thread (“filum”) and seed (“granum”). Though Austin is known for its music and its independent film scene, Newman points out, the theater community here — talented as it may be — continues to fly under the national radar, due in part to shrinking performance space. The “thread” is meant to be a corrective to that circumstance, while Newman and Moore hope the “seed” part of the equation germinates the creative energy and talent that exists here already. 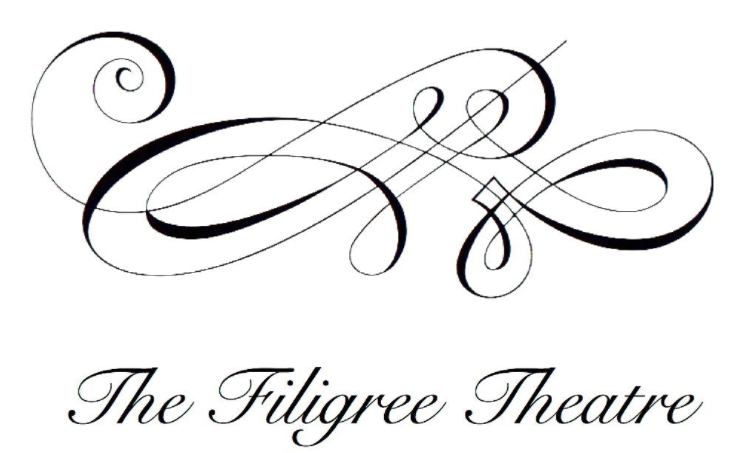 Filigree also hopes to weave theatric experiences by incorporating creatives from other fields, including film and choreography into its thread-connected company. Community, of course, is important to any group creative effort, but in theater, the need for shared space is immediate; it’s the whole point. “The ephemerality of it is that it's there. It has to take place in that site with live bodies on stage and live bodies in the audience. . . hearing the breath, feeling the blood of the people on stage and the people around you is a community experience,” says Newman. Filigree Theater kicked off the first production of its inaugural season last Thursday with “Betrayal,” a play about the deception inherent in a love triangle, that runs through Sunday, October 8, at the Santa Cruz Theatre. The season will continue with two more plays, both written by women: one to celebrate theatre’s present (A Delicate Ship by Anna Ziegler) and one to celebrate its future (Trio by Sheila Cowley). Filigree Theatre will also co-produce Stage One, a workshop series that stages readings by professional actors of new works by rising screenwriters and playwrights — seeds, if you will. To learn more about Filigree Theatre's 2017-2018 season, visit filigreetheatre.com.